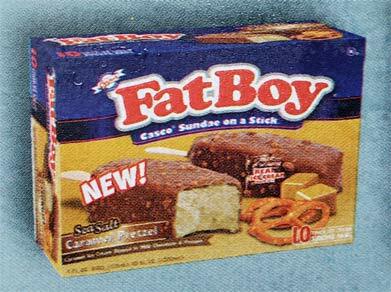 If you ever wonder why I don't cover any new Fat Boy ice cream sandwiches, it's because they have minimal market penetration in my area. The only mild exception is that I may find a flavor or two at Price Chopper. That's how these wound up in my freezer a few months ago. Clear wrapper so you know which one you grabbed (gets the hunger going too). It's definitely a decent size. I only have two big comments on this first tasting. One, the wafers stuck to my fingers alot. 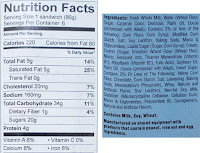 I prefer my wafers to be a little more solid (like a thin crisp edge) and a little more distinct. 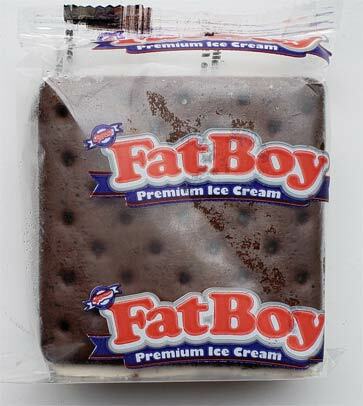 Two, I guess it tastes like cookies & cream, though I would love that vibe to be much stronger. That's it for now since I know this product has been around awhile. Wish I had these in my area. On Second Scoop: Well, I was going to try another one of these but apparently my daughter is quite the fan of them.... cause the other five are all gone and it's nothing but an empty box in the freezer now. I guess that's your thumbs up approval if you were looking for it. 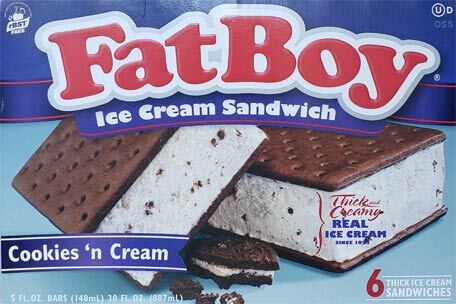 I've seen a s'mores sandwich by Fat Boy that I thought looked intriguing, but was wary of the actual ice cream inside (I hate how most sandwich treats have more "frozen dairy dessert" texture and density, or lack of). 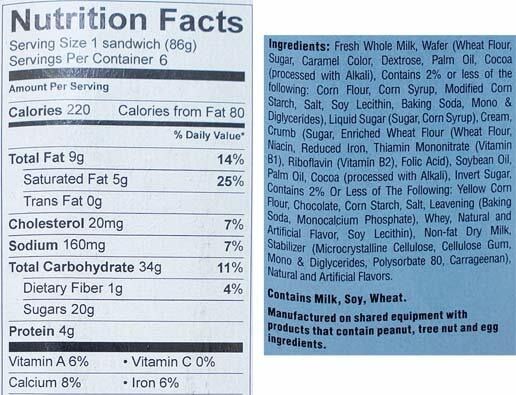 How would you compare these to say, Blue Bunny sandwiches? It's a little hard to analyze since they are thicker, so no matter what, it should seem more dense when biting in to it. These definitely arent some light fluffy frozen dairy dessert, there is some heft to them (consider the fact that they are 5oz a piece). 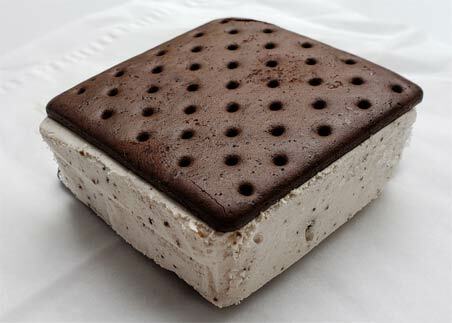 They are certainly heftier than say the new Rolo ice cream sandwiches. I haven't had a blue bunny sandwich in forever, but I would say that these are at least equal to BB but probably more dense. I would need to do a side by side to be sure (if I ever find the s'mores ones, maybe I'll do a friday night fight with them and BB).